according to reports, the lengthy soundcheck included extensive rehearsals of Marvin Gaye's "Can I Get A Witness". Bruce performed the song at full together with Little Steven . Van Zandt and his Disciples of Soul were headlining at Red Bank’s Count Basie Theatre (for which Van Zandt and his wife Maureen serve on the board of trustees). 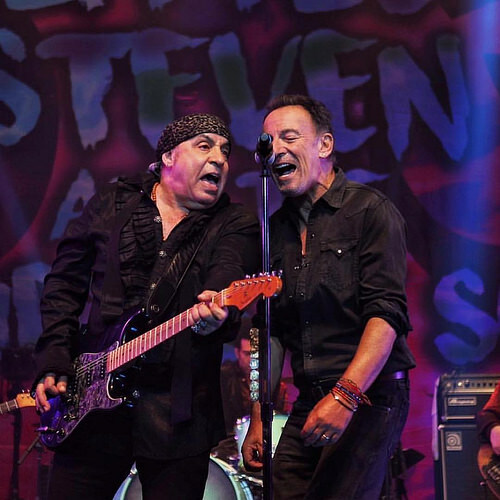 Stevie invited Bruce, as a friend without work, to join him as a surprise guest for the last four songs. Among them was the duet on "Tenth Avenue Freeze-Out". Bruce also performed on "It's Been A Long Time", "I Don't Want To Go Home" and the show’s encore, the Marvin Gaye hit "Can I Get A Witness". 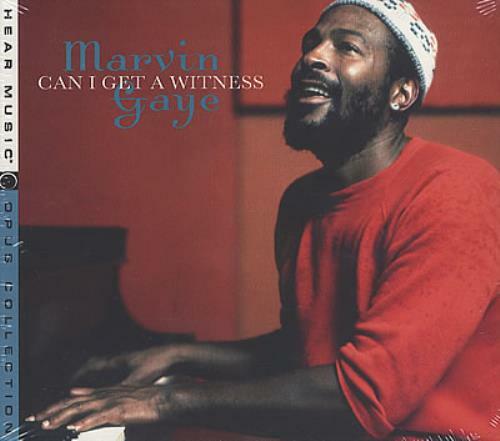 "Can I Get a Witness" is a song composed by Brian Holland, Lamont Dozier and Eddie Holland and produced by Brian Holland and Lamont Dozier as a non-album single for American recording vocalist Marvin Gaye, who issued the record on Motown's Tamla imprint in September 1963. Recorded at Motown's Hitsville U.S.A. studios on July 17, 1963, the song's lyrical writer Eddie Holland discussed going over the song once with Gaye, who had complained to the producers about singing their songs above his vocal range, something he would later complain about during recording sessions for his rendition of "I Heard It Through the Grapevine". According to Holland, once Gaye heard Holland perform the song to him, he nodded and stated, "okay I'm ready" to a perplexed Holland, who often had to work over the song a few times with other artists who recorded their songs. According to Holland, Gaye recorded the song in one take, which impressed Holland, his brother and Dozier. Holland would later call Gaye "the most versatile vocalist I ever worked with." On the song, backed by a boogie woogie-styled piano riff played by Funk Brothers pianist Earl Van Dyke, Gaye performs the song in a gospel harmony with members of The Supremes and Holland-Dozier-Holland backing him up on background vocals. Gaye performs the song mostly in a tenor range but occasionally sings in both the baritone and falsetto ranges. The Supremes : who appeared as background vocalists on Marvin Gaye's original, later recorded a version in 1966; however their version remained unreleased until 1987. Elton John : performed the song at Bob Geldof's Live Aid Concert on July 13, 1985.